The AAA Foundation for Traffic Safety reports that 27 percent of motorists sent a text or email while driving last month. 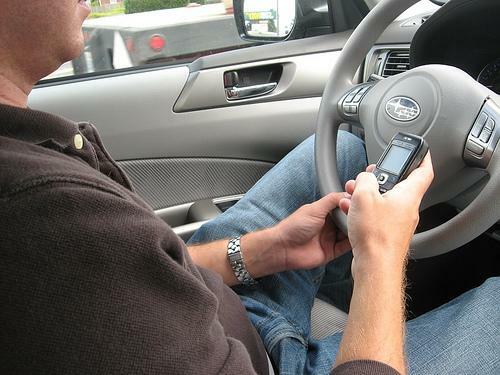 AAA East Central spokesperson Bevi Powell said they also found motorists who regularly use their cellphones in the car were more likely to engage in other questionable behavior, with 65 percent admitting to speeding and 16 percent driving without a seatbelt. She said talking on your phone in the car takes attention away from the road. She said 39 states including Pennsylvania and the District of Columbia have laws banning people from texting while driving. The survey also found 14 percent of motorists drove when they thought their blood-alcohol content was close or over the legal limit in the last 30 days, as well as 38 percent of drivers admitting to running red lights. According to the U.S. Department of Transportation, 32,367 people were killed in 2011 in motor vehicle accidents, making it the leading cause of death for 15-24 year olds.